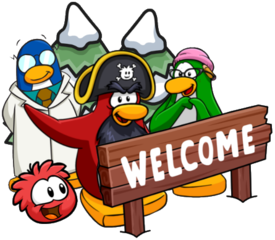 A new Penguin Style has been released on Club Penguin Rewritten, filled with loads of music themed and even some fiesta themed items! It also contains new backgrounds and the new colour from the Advent Calendar. 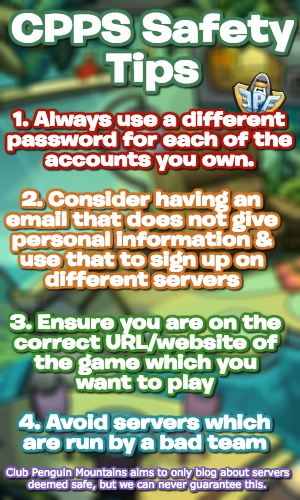 In this post, I will be sharing all the secrets (or cheats) inside the catalog! A purple circle and red arrow represents that a secret is hidden there and the image next to it is the item which you can get by clicking there. Page one contains five secrets: the Starlit Sombrero, the Blue Torero Suit, the Fiesta Dress, the Saturated Sombrero and the Saturated Poncho. Page two also contains four secrets, which are the Spikette, the Spikester Cuffs, the Flitter Flutter and the Spikester Threads. Page three contains a further three secrets: the Pink Sneakers, the Viking Helmet and the Gold Wristwatch. As always, click the location of the Viking Helmet three times for the Blue Viking Helmet! A new Item of the Month, the Saturated Maracas, has been released and the amazing Rescue Squad outfit has also made a return! Whilst it is possible that an item could’ve been missed, this post will be updated immediately if it is incorrect. For now, I am fairly certain that these are all the secrets! I hope that this guide helped, thank you very much for reading! Theres a green t-shirt hidden in the green scarf! I think that’s a bug which occurs when trying to buy the Green Scarf!